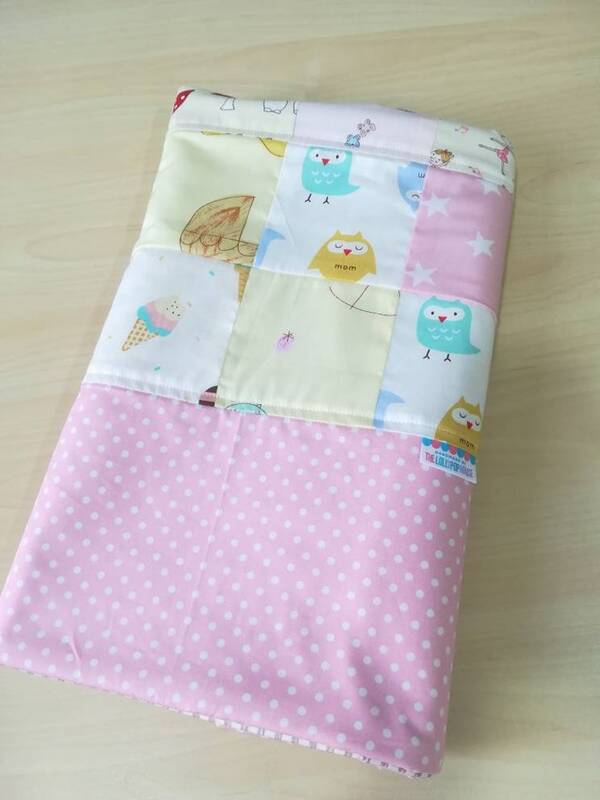 This patchwork quilt is personally handmade using 100% cotton. I made them using small squares scraps from my other projects. I always try to minimise wastage of materials. It is small and lightweight. Suitable for home use, tummy time and travelling. Material : 100% cotton on both sides and, lined with polyester batting. Use either side as you desire.